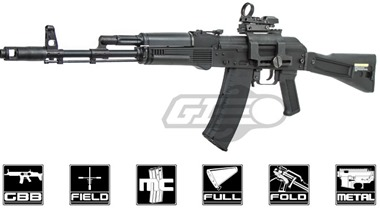 I plan to visit Hong Kong and was also thinking of picking a few airsoft guns, as a collector I'm looking to get the most realistic looking guns for display. So the problem is, I'm from the Philippines and I have no idea if I can bring the rifles from HK to Philippines. Can anyone shed light on the laws on doing something like this? And which gov't agencies / private agencies I need to get in touch with, if there are any, to do something like this. I'm guessing I will have to deal with customs a lot. As you indicated by the tags you selected, Hong Kong and The Philippines, firstly, you have to comply with appropriate rules and regulations when you exit Hong Kong, and secondly, deal with the laws and regulations of The Philippines. In Hong Kong, airsoft guns are considered toys as long as they are not able to be fired with a muzzle energy above 2 joules of kinetic energy, above which they are considered as a firearm and need registration, and possession of an unregistered firearm is illegal. Under the Section 13 of Cap 238 Firearms and Ammunition Ordinance of the Hong Kong Law, unrestricted use of firearms and ammunition requires a license. Those found in possession without a license could be fined HKD$100,000 and be imprisoned for up to 14 years. Airsoft guns in Hong Kong is not required to have an orange tip. However, public possession or exposure of airsoft gun is not recommended by the police department in Hong Kong, as it is difficult to identify whether it is a real firearm or not. It is also not required to obtain a licence to sell an airsoft gun in Hong Kong. Your next challenge is returning to The Philippines. On May 29, 2013, President Benigno S. Aquino III, signed into law, Republic Act. No. 10591: “Comprehensive Firearms and Ammunition Regulation Act." Imitation firearms are included in the articles that require import clearance. The Philippine Bureau of Customs includes replica and imitation firearms among the Regulated Articles which must be declared and appropriate procedures and permissions completed prior to arrival at Customs and Immigration. Not the answer you're looking for? Browse other questions tagged air-travel hong-kong philippines firearms or ask your own question. Is my Chinese visa reusable? Where will I clear customs traveling from US to Greece and back via Toronto?